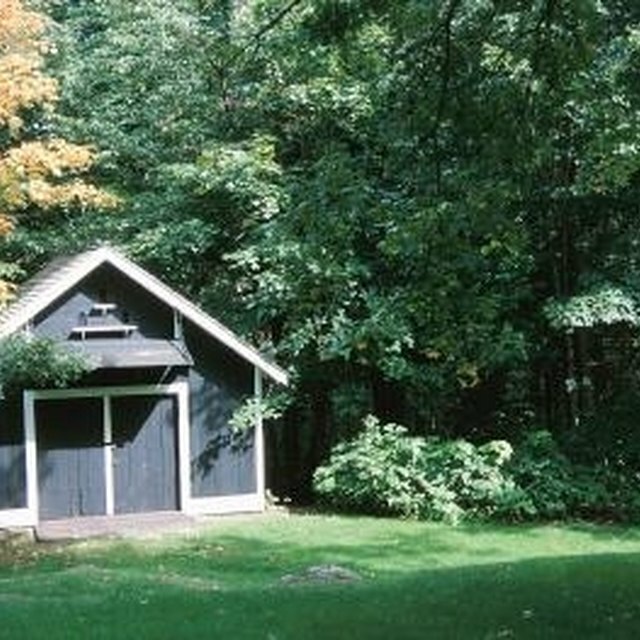 Shed style homes emerged from the designs of modern homes in the 1960s and 70s. The trend toward environmentalism contributed to the style's popularity due to its rustic and woodsy characteristics. Though they were built throughout the country, shed style homes were most common in the western and southwestern U.S. Shed style homes emerged from the designs of modern homes in the 1960s and 70s. The trend toward environmentalism contributed to the style's popularity due to its rustic and woodsy characteristics. Though they were built throughout the country, shed style homes were most common in the western and southwestern US. Shed style homes are identified by the multiple roof architecture and multi-geometric shapes. Roofs are typically built with wood shingles and slope in different directions with little effort toward symmetry. The exteriors of this building style are typically built with wood and stone as well as touches of textured concrete. Doors are recessed and windows are usually small, allowing for expansive wooden surfaces. While this style was found in both residential and urban areas -- it was even used for offices and retail buildings -- it fell out of favor for urban environments due to the high maintenance needs of the wood exteriors. This style continues to be common in areas that demand lodge looks and for homes built in mountain resort areas.